While Buenos Aires has a well-established reputation as a city of fine wines, the typical Argentinian lager will leave any beer lover disappointed. Few bars have beer on tap and while the ubiquitous litre bottles of the local lager Quilmes score points for being cheap and invariably served cold, they get few for taste. But beer-guzzlers need not panic. The good news is high-quality artesanal beer can be found in Buenos Aires. 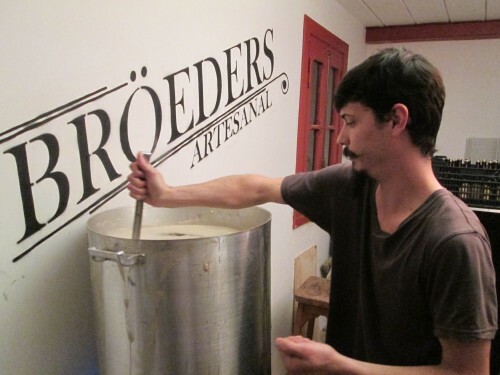 Following a growing trend in microbreweries in the city led by the likes of Antares and Buller, Bröeders produces some of the best cerveza artesenal (craft beer) around. 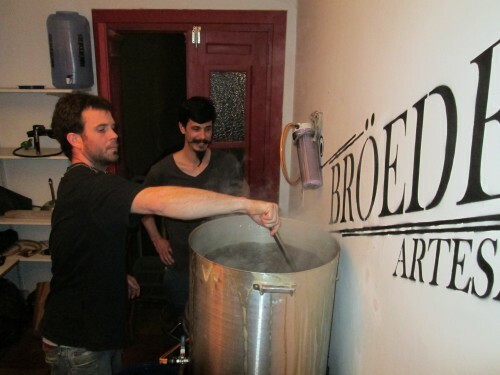 Being beer enthusiasts, the BuenosTours team jumped at the chance to join Francisco and Marcelo Terren of Bröeders one Tuesday evening to watch them in action and learn about the beer-making process. 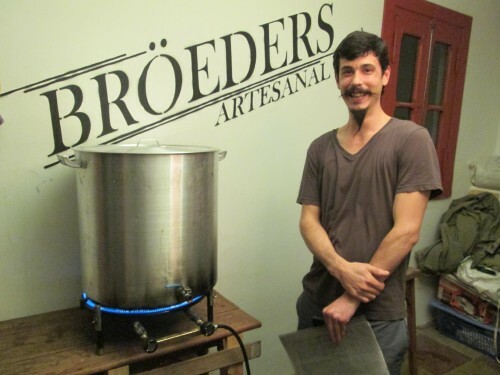 For just over a year, brothers Francisco and Marcelo Terren have been brewing Bröeders at their home brewery at their mother’s Palermo home, when they were inspired to make their own beer after taking a beer-making course. 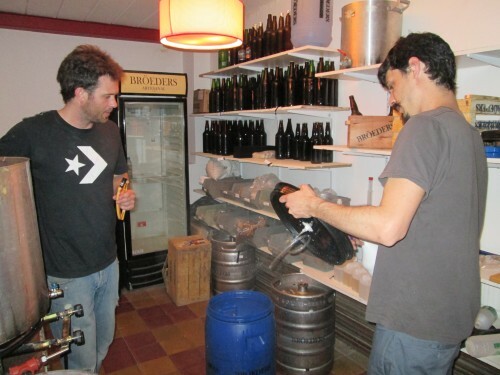 While on holiday in New York, wine-loving Francisco hoped to bring back a beer-making kit he had read about as a birthday present for Marcelo, who had always been keener on beer. But when he was unable to find the kit, back in Buenos Aires the present became signing-up for a beer-making course instead. Soon they were hooked on brewing. After starting out in the kitchen, brewing in a 20 liter pot on their mother’s hob, the brothers later converted the roof top shed into a compact micro-brewery, a well-organised space from which they currently produce 320 liters a month of various beers including Indian Pale Ale, Scottish Ale, Porter, Honey Beer and Barley Wine. All that was missing was the name. Marcelo and Francisco chose the name Bröeders before finding out that broeder means brother in dutch, which served to confirm their choice. Marcelo put his background in graphic design into use in developing a logo and brand and the brothers started a weekly beer night with NOLAchef. Bröeders Beer Night is every Thursday night at the puertas cerradas (closed door) restaurant, where a selection of 4 different Bröeders beers is teamed with Cajun and Creole food. Working from their expanding folder of beer recipes compiled by experimenting with classic recipes, tweaking and adapting them and taking tips from the network local brew-masters until they are happy with the taste, Marcelo and Francisco get together to ‘cook’ every Tuesday night. 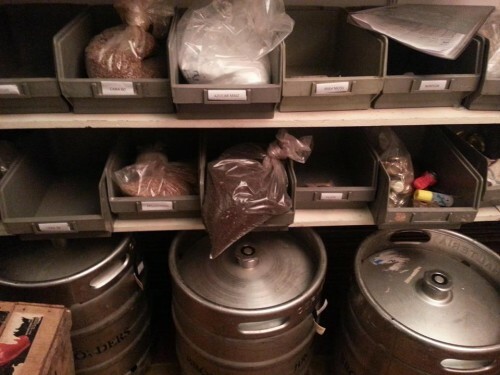 For a beer-lover, peeking inside their impeccably organized micro brewery is akin to Charlie’s first glimpse of the inner workings of Willy Wonka’s chocolate factory. In front of me I saw shelves with labelled containers of various hops and malts, neatly stacked brown bottles of beer, barrels, kegs and a large gas burner with a 20 liter pot brewing. There was a tempting aroma that smelt like a sweet, malty porridge; we could hear the liquid bubbling and the hiss of the gas burner, and there was an intense heat emitted from the burner. With a glass of Bröeders IPA in my hand (pulled from a keg on the terrace), I tried to pay attention and fight-off drunkenness as Francisco talked me through the brewing schedule. Each week they begin at about 5pm with the maceration process. After selecting the malts according to the recipe they are using (the flavor of the malts depends on how long they have been toasted, and at what temperature), the next step is to heat the malt and brew it into a big ‘tea’ for about an hour and half, during which time the bulk of the grain is removed and discarded. At around 7pm Marcelo and Francisco begin “boiling and hopping” – the hops are added and the wort (unfermented beer) is boiled for an hour and gently stirred. The brothers use local hops in their ales; cascade hops from El Bosón. 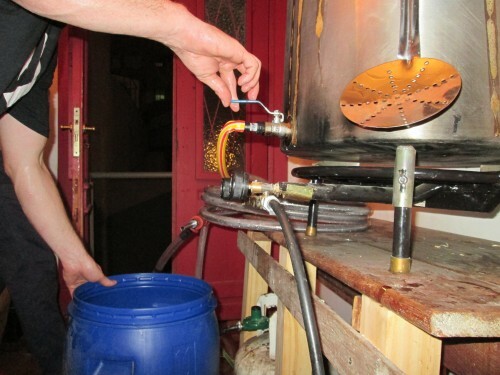 With the trub gathered into a cake in the center of the pot, the wort is drained and rapidly cooled on its way from the pot to the barrel by passing it through a hose with a second hose containing cold running water adjoined (see photo above). The next step was to add the yeast. There was an air of excitement as Marcelo went downstairs to fetch it from the fridge. 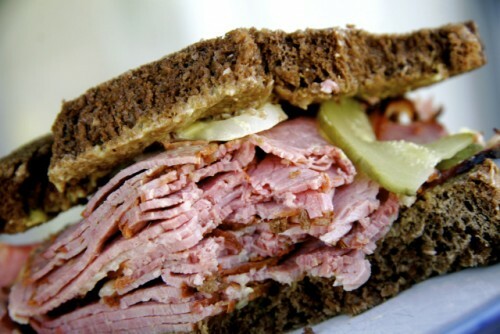 “Wait and see how it foams up when you add the yeast, it’s like a big party in there,” he said. The brothers explained that the type of yeast used is key to the flavor of the beer and they experimented with several types before finding Nottingham Dry Yeast. 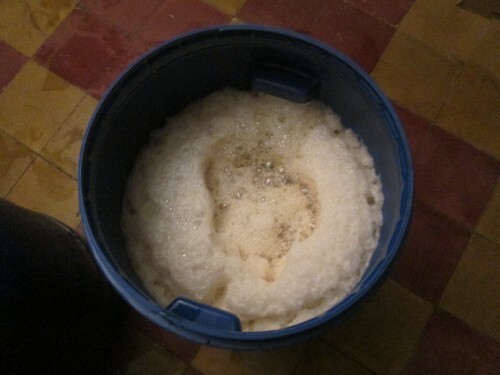 As promised, as soon as the yeast was added the liquid frothed up dramatically. And with that the barrel was sealed and left to ferment for two weeks. By now the fine details of the beer making process were becoming hazy, as I helped myself to another drink from the Bröeders keg. But for Marcelo and Francisco the work wasn’t over yet – there was cleaning to do. As soon as the wort was being cooled the brothers took a great deal of care to ensure all the equipment was clean and sterile, spraying taps and nozzles with alcohol and working in a methodical and organized way. This level of meticulousness about cleanliness had come from experience, after they initially had to throw out several barrels that had become ‘contaminated’. With the brewery clean and tidy there was just time to finish the night with a taste of Porter on the terrace. A drink well earned by the Terrens. To read more about the Bröeders Beer night at Nola see these write-ups on Pick up the Fork, the Argentina Independent, Anuva Wines and Gringo in Buenos Aires. You can also buy pints of Bröeders on tap at a decent price, at the Fukuro Noodle Bar in Palermo Hollywood (Costa Rica 5514, corner with Humboldt). Originally from Chicago in the United States, Allie Lazar has lived in Buenos Aires for nearly seven years. She is a freelance writer and author of the food blog Pick Up The Fork. In July 2006, as an exchange student. I “studied” Political Science at UBA (the University of Buenos Aires). It was supposed to be a 6 month study abroad program but I extended it to a year. Which later was extended to 6 more years, without the studying. It gave me anxiety to think my BA expiration date was approaching; there were too many restaurants that I hadn’t tried yet. I wasn’t crazy about the idea of going back to the US, graduating, getting a real job and becoming an adult, so staying in BA seemed like the least sucky option. 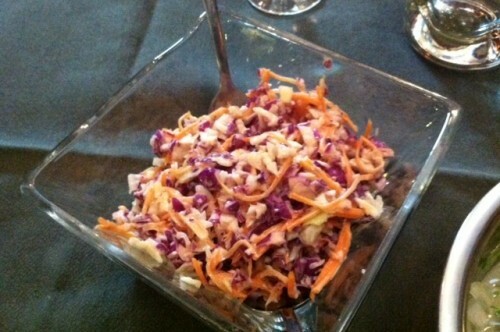 Why did you start to write your blog Pick up the Fork? Finding a decent restaurant back in the day was a challenge, and so often I became victim of throwing my pesos down the shitter on terrible overpriced meals with horrendous service. There weren’t many honest restaurant resources, and even less in English, so I began to put my constant restaurant visiting and annoying food picture taking to some semi-respectable use. Since I work freelance, writing for magazines or websites, managing social media pages and organizing private food tours, I’m generally working on a few different projects at once – there are some weeks I’m bombarded with work and spend 24/7 at a café clacking away on my computer nonstop while also visiting restaurants. But if I don’t have a deadline or project due, there are many days when I don’t even put pants on. Depends on the week and how fat I feel. If I’m working on an article and need to do research, I’ll eat out every day – right now I’m working on two articles, one brunch / another lunch specials, so there’s a lot of midday/morning eating going on. 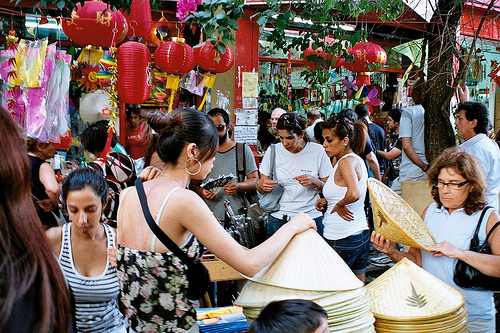 What is your favourite neighbourhood in Buenos Aires? Palermo Hollywood/Colegiales for convenience and street art, Villa Crespo for the eclectic mix of restaurants, Almagro/Abasto for the latino flava. My new favorite spot in BsAs is the lagos de Palermo on a weekday, it’s dog park central. 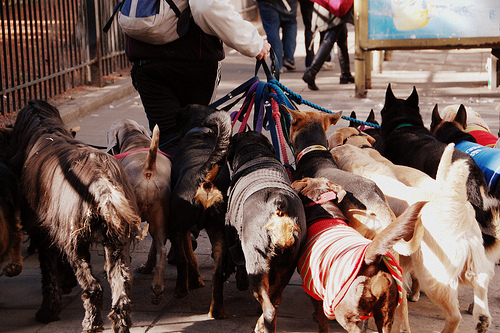 It’s where all of the dog walkers (pictured below) congregate and take their packs – there are hundreds of dogs hanging out, it’s heaven. If I were a liar (and I am) I’d fabricate some story to make my lounging sedentary weekend sound similar to what an adventurous and active person may do on the weekends, doing some kind of sport and followed by a healthy meal at a cute café. Since I’m on a constant quest for a great restaurant, I rarely repeat. At the moment I really have a thing for quick, fast food spots: Shawarma inside the Mercado de Belgrano, La Cresta’s wraps are bomb (Bulnes 829, Almagro), so is El Banco Rojo’s spicy lamb empanadas and doner kebab (Bolivar 914, San Telmo). 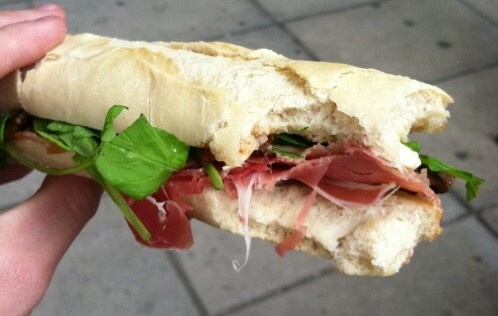 When I’m homesick, I go to La Crespo (Thames 612, Villa Crespo) for a pastrami sandwich (pictured). Where is the best place to get coffee / steak / ice cream / a beer in Buenos Aires? Coffee: in Bocca al Lupo (Bonpland 1965, Palermo Hollywood), I don’t know how they get it to taste so good! And the overall space is pretty perfect. Ice cream: El Capricci’s (Paraguay 5201, Palermo) marroc y chocolate profundo, Cadore’s (Corrientes 1696, San Nicolas) nutella, Guardiola’s (Jorge Newbery 1967, Las Cañitas) passion fruit, anything from Jauja (Av Cerviño 3901, Palermo). Beer: I’m more of a cocktail drinker, and I just made a list of my favorite bars on the Pick Up The Fork Drink Drank Drunk guide. What was the best meal you have eaten in Buenos Aires? Hernan Gipponi just started a new concept on Monday nights with one communal table (called One Table), where he cooks and serves the food table-side. The wines are paired by their sommelier (one of the best in the country) Andres Rosberg, who also happens to be the president of the Argentine Sommelier Association. 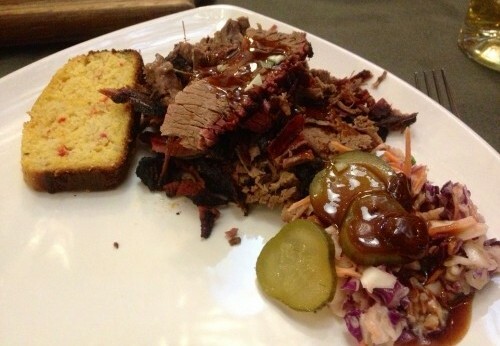 I went last week and it was phenomenal meal and a wonderful overall dining experience. I don’t shop for shoes or clothes, instead I spend all my money on ridiculously expensive cheese. Barrio Chino in Belgrano (pictured below) is like my food mecca. Mercado de Progreso (Avenida Rivadavia 5430, Caballito) and Mercado de Belgrano (Juramento 2527, Belgrano) are also good places to shop. I like to take that special someone on a romantic stroll for a smoky truck of greasy choripanes. Pfffffff. It generally consists of two hours debating whether I should work out; sometimes I get far enough to put a sports bra on but ultimately decide that my new work out / diet routine will start tomorrow. I save a lot of menus, ideal bathroom reading material. What are the most played songs in your music collection? At the moment I listen to mostly NPR podcasts. Yes, I’m 27 going on a liberal, grey haired 55. What is your favorite porteño saying or expression? 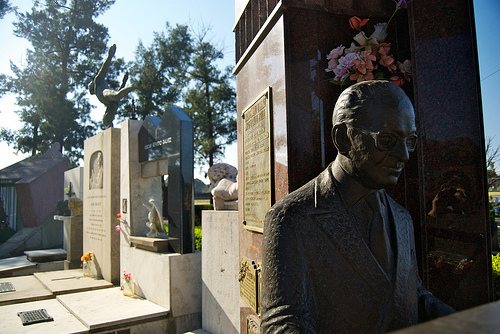 Wander around Chacarita Cemetery (pictured below), guzzle lots of cheap wine, visit some of the more unknown café notables. You can see all the famous sightseeing spots in less than two days, and most are overrated (cough La Boca cough). The best way to experience Buenos Aires is walking around, going café and restaurant hopping. Thank you Allie! Questions? 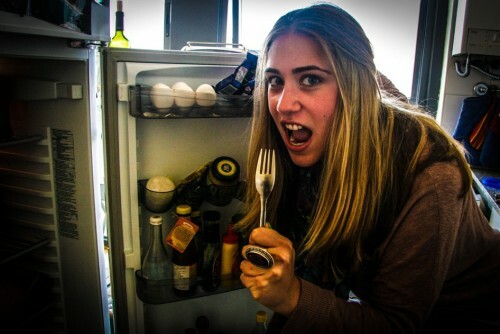 You can leave a comment for Allie on her famous food blog Pick up the Fork. And if you are an interesting expat/local in Buenos Aires and would like us to interview you, feel free to get in touch and tell us why. 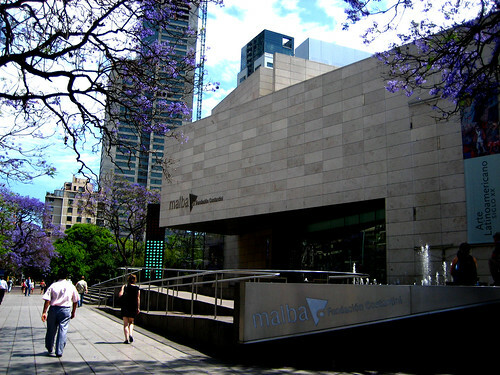 The MALBA is without a doubt one of Buenos Aires’s premier museums. Housed in a modern building designed to reflect the city blocks which flank it, this is one of those rare museums where you feel like the architecture is truly part of the show. High, geometric windows allow tons of natural light to illuminate a dazzling collection of modern and contemporary Latin American art. The MALBA opened its doors to the public in 2001, with a mission to “collect, preserve, research, and promote Latin American art from the onset of the 20th century to the present.” Created by the Costantini foundation, this museum holds the spectacular collection of Latin American art amassed by Argentine real-estate developer, philanthropist, and patron of the arts Eduardo Costantini. The building’s granite exterior belies the lightness inside: a limestone interior with cristal panes of glass spanning the entirety of one wall, the space was designed to allow optimal use of natural sunlight, while still perserving the artwork. In many ways, the white limestone and clean lines provide a perfect canvas on which pieces of modern and contemporary art pop and explode to the eye. While sleek and modern, the space always features some whimsical touches; for example, the curvy wooden panels hanging from various ledges and balconies finally conjoin into a lovely bench on the second floor. Next to the entrance, a panel that appears to be a giant stop-light is actually equiped with a microphone and reflects the level of ambient noise around the MALBA: this means the red-lights appear at rush hour! The permenant collection is a spectacular homage to Latin American modern and contemporary art. With over 500 pieces in the archives, The MALBA displays around 150 works at a time. All artwork starts from the 20th century, and is arranged to highlight certain regional tendencies. Pieces by Frida Kahlo and David Alfaro Siquieros are immediately recognizable, but even aficionados of Latin American art may be surprised by a cubist Diego Rivera painting. Also noteworthy is a piece by the Colombian Fernando Botero (recognizable for his use of corpulent figures) called Los Viudos or The Widowers. The museum features Argentine artisits, including several works by beloved watercolor master and esoteric thinker, Xul Solar. 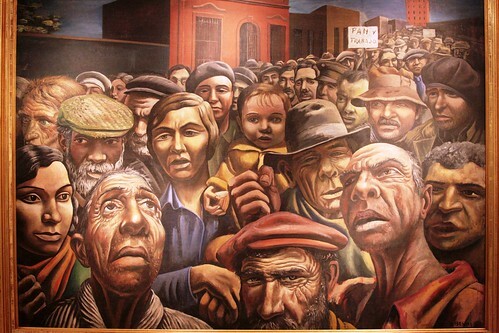 One of the most striking paintings on display, Manifestacion (Protest) by Argentine great Antonio Berni attracts much attention. A response to the Mexican muralists, Manifestacion recalls the magnitude and politics of the muralist tradition, portraying larger-than-life characters and transforming the masses into a union of distinct and intriguing individuals. This painting is, however, one of the most emblamatic of the Argentine tradition; the sign held by the people protesting reads “Pan y trabajo” or bread and work, perhaps a direct reference to Ernesto de Carcova’s Sin Pan y Sin Trabajo, on display in the National Museum of Fine Arts. The collection also features interesting surrealisms by Chilean artist Roberto Matta and Cuban Wilfredo Lam. Also intriguing are a slew of fun optical works, and look out for a few pieces of living art like plants and some fish! Visiting exhibits at the MALBA tend to be jaw-dropping, moving, beautiful or outrageous. These contemporary shows, typically by Latin American artists, rotate almost monthly; you can check the schedule here. MALBA’s movie theatre plays some interesting, off-beat films, and as the Constantini Foundation is dedicated to education, MALBA hosts open workshops on Philosophy, Film, and the Arts and leads guided visits for the hearing, visual, and mentally impaired. Be sure to bring some pesos with you! The museum store features some funky and truly original things including clothes, notebooks, jewelry, mates, and other do-dads that would make great gifts. Head downstairs and check out the ample collection of art books, magazines, and music. You can also grab a coffee or bite to eat at the lovely museum cafe, Cafe des Arts. To get a feel for the museum, watch this video, or read more at Wander Argentina. Head to the MALBA on Wednesday for discounts! Dinner at the Argentine Experience is much more than its headline dish of exquisitely cooked fillet steak accompanied by free-flowing Malbec. 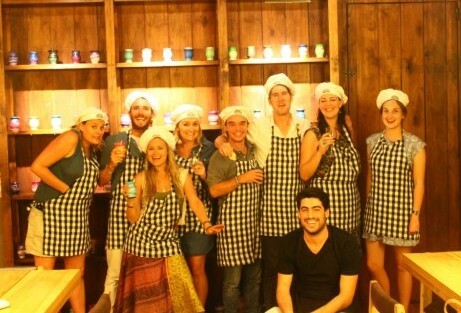 It is more like an intensive crash course in Argentine culture, complete with empanada and alfajor making sessions. From the Porteños’ fondness for expressing themselves with a wide range of hand gestures to the intricacies of the mate ritual, Argentine customs can be baffling (first-timer mate drinkers beware: NEVER use the bombilla (metal straw) to stir the yerba). For this reason the Argentine Experience is jointly hosted by an expat who understands how strange such idiosyncrasies first seem to outsiders and a local who offers an insider’s view. Arriving early for the optional pre-dinner wine cocktail mixology and aroma class, first up was a cocktail making workshop in which the secret ingredient in every ‘Malabeca’ or ‘Torrontea’ was wine. Setting the tone for an evening in which interaction was key, we were invited to don a bow tie and step behind to the bar to have a go at mixing ourselves. 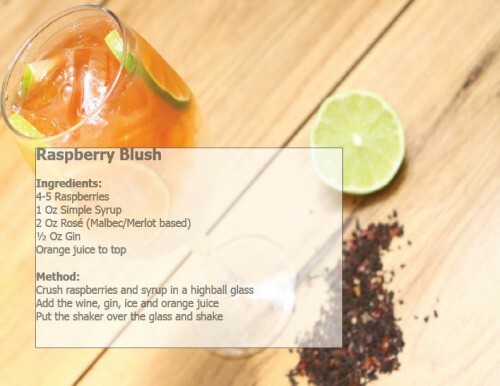 It’s safe to say the raspberry, gin and Malbec & Merlot based rose wine ‘Raspberry Blush’ cocktails I prepared were a hit. Less successful was my attempt to identify the 20 aromas commonly found in wine by smelling a condensed liquid essence of each one. Not as easy as it sounds. The Argentine Experience started life as a ‘closed doors restaurant’ in the apartment of founder Leon Lightman and even after the move in 2012 to more restaurant-like premises in Palermo Hollywood it has retained an intimate atmosphere. The new building is modern and light with a sleek downstairs bar area and an upstairs dining room, with two large chunky wooden dining tables and shelves of colorful mate gourds serving as decoration. 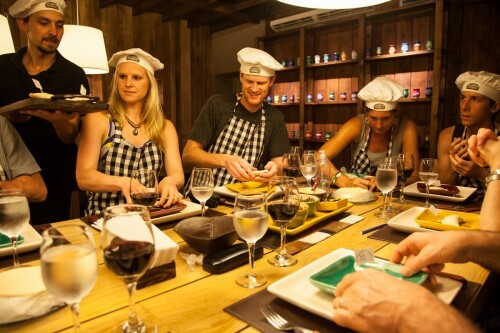 The communal dining tables are the first clue that the Argentine Experience is very much a group effort. 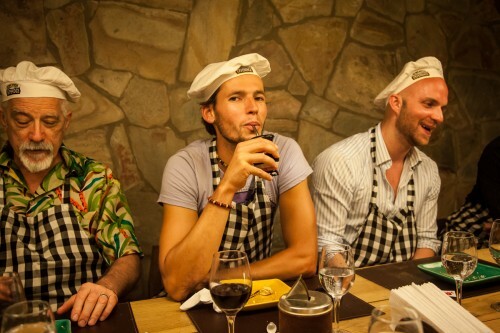 Socializing with your fellow guests is compulsory, and the first act of team bonding is to put on a checked apron and chefs hat, ready for action. Our first task was to prepare empanadas (the ubiquitous little savory pastry pies that are usually filled with minced beef). With bowls full of slow-cooked beef stew, onions cooked in Malbec, vegetarian ratatouille and cheese in front of us it was difficult to heed our host Richard’s advice not to overfill the empanadas. He showed us how to seal them and fold the pastry in the traditional way. With our empanadas cooking in the oven, our next challenge was a creative one: the novelty empanada competition. Entries ranged from a recreation of Maradona’s ‘hand of God’ goal to a dinosaur, the winner being a graceful, meat and onion filled ballerina. 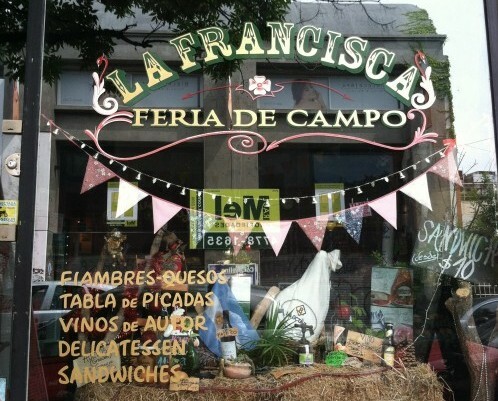 The winner received a jar of homemade chimichurri sauce and eternal glory in the form of a place on the Argentine Experience empanada wall of fame. As the Malbec flowed freely and mini dishes of provoleta cheese and choripan were brought out, we exchanged travel stories and talked to our hosts about Argentinian football. Then, proceedings were brought to a hushed standstill as the evening’s star guest was introduced. 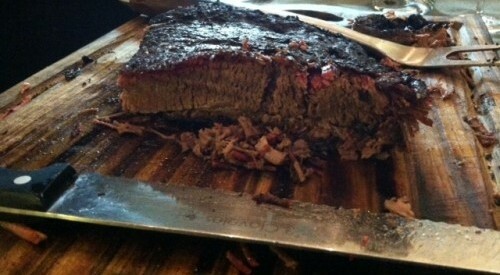 The steak, Richard explained, had been subject to an extensive screening process. Owner Leon had embarked on a six month pilgrimage across Argentina, tirelessly visiting cattle ranches in search of the perfect beef. The tenderness of the fillet steak we were to eat, he continued, was the result of a finely-honed 24 hour preparation process, involving leaving the meat uncovered in the fridge overnight before flash frying in a hot pan to seal the juices, then flipping it rapidly to ensure an even distribution of meaty juices. 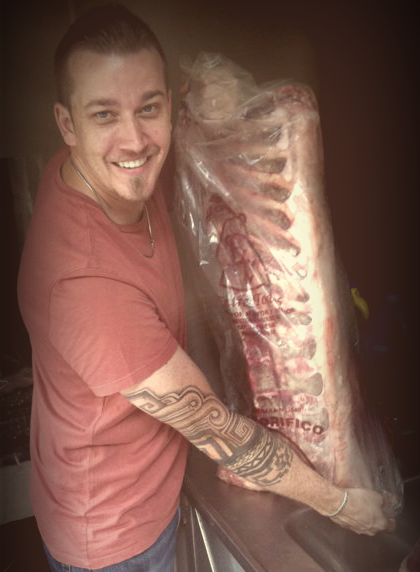 For this reason it could well be the most tender meat we had ever eaten, Richard concluded with a flourish, as drool ran from the corners of our mouths. Naturally, such a steak deserved a serious wine to accompany it, so we would be served a deeper, more full-bodied Malbec. As we ate our main course, the intelligent conversation of earlier in the evening was replaced by a series of grunts and munching sounds. Nobody was disappointed with their steak. Note: Fish and vegetarian options are also offered, and those who went for them on the night were very impressed with the quality of those dishes. And so in a Malbec and steak induced state of bliss we were entertained by tutorials and practice sessions on Argentinian hand gestures, preparing mate and making alfajores (dulce de leche filled, chocolate covered biscuits). Those of us for whom the bottomless wine had made everything a little hazy were reassured to learn that note-taking would not be necessary; an Argentine Experience aftercare email with all the essentials would arrive the next day. So there would be no excuse not to put our new cocktail-shaking, empanada-baking, alfajor-making, mate ritual-partaking and hand gesture mickey-taking skills into action. Try saying that after one too many glasses of Malbec! For more on the Argentine Experience, check out Cara from Anuva Wine’s write up, this post by Tim Fitzgerald on the BBC travel blog, Not quite Nigella’s thoughts here and this post by Alison Westwood on the Getaway blog. Sugar and Spice makes some fantastically delicious cookies and cakes. 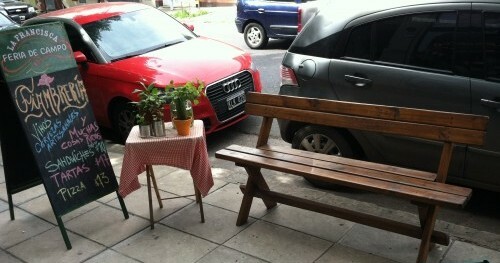 In a cafe-happy city like Buenos Aires, coffee and pastries may begin to become monotonous, but not at Sugar and Spice. This Palermo shop has left the coffee behind and instead focused on perfecting their pastries to be some of the finest quality in the city. It may be difficult to sample them all, but those the ones you will try are extremely tasty, and a perfect accompaniment to a cup of tea or coffee. Don’t miss their “passion for chocolate” cookies and “super chocolate” budin (cake), if you are a chocolate lover. Also a good pick are the raisin and oatmeal cookies and, from their savory range of biscuits, the copetin fugazza (a biscuit flavored like fugazza, an Italian/Argentine pizza with no cheese or sauce – just the dough with onions, olive oil and oregano). Great stuff! Sugar and Spice has graciously hosted a Buenos Aires bloggers at the event, and as is the trend, most of them have already written about it: Nathan, Diva, Dalila and Marce, for starters. Check their posts for more descriptions of these delectable treats. When it comes to recounting an experience at La Cabrera, words just can’t describe the ecstasy of enjoying one of their huge steaks or many other specialties. Take in the pictures or simply head over now to taste some of the finest steak in Buenos Aires, a city famous for its flavorsome beef. 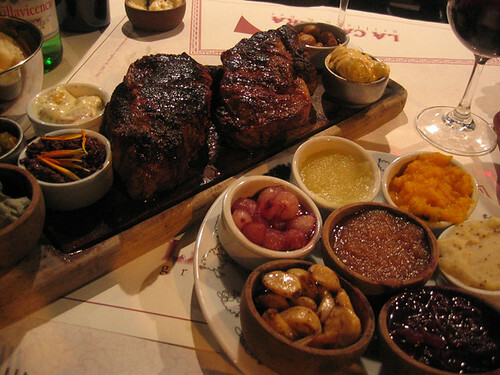 In fact, the choices presented to you on the table at this parrilla (steakhouse) can be almost paralyzing. There is so much to look at, so many different flavors and options to go for, it may become overwhelming. If this happens, a word of advice: focus on the steak. The Ojo de Bife Napolitano (rib eye steak with plenty of ham, cheese and sun-dried tomatoes on top) pictured above, is a fine specimen. 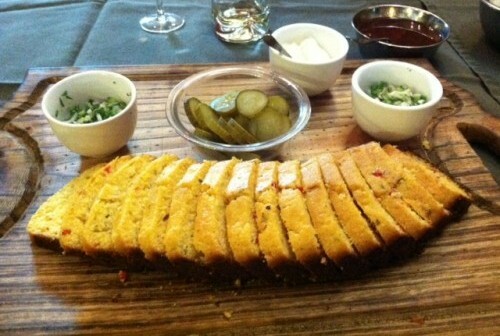 It would be way more than enough for one person, forgetting the side dishes. So just try a few of the flavors on offer from those cute little sideshows whenever this occurs to you, but don’t let that detract from the main event, which is always going to be the huge steak. The flavor of the beef at La Cabrera is delicious, succulent, perfectly cooked (if you ask for a punto – medium – you really do get it medium and not overcooked) and very, very juicy. 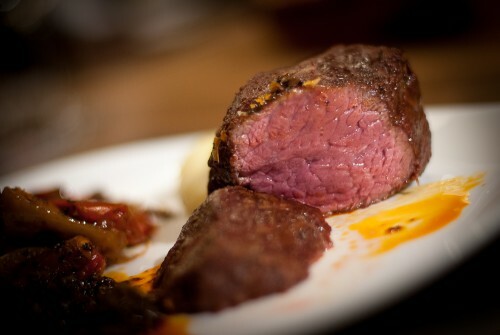 And all this seems to be true whatever steak you order there, be it bife de chorizo, ojo de bife or bife de lomo – the three most popular cuts to order at La Cabrera. And yet, despite the steak alone being more than enough to fill you up before you even think about the variety of side dishes, sometimes you have to go even further into the dark realms of over-eating and La Cabrera will probably tempt you to do so. Starters are completely unnecessary, but absolutely delicious. If you must, try the chorizo sausage (pictured below) or the goat’s cheese provolone (a type of cheese grilled on the Argentine parrilla) with sun-dried tomatoes. If you are having starters, then a main course each would be WAY too much at La Cabrera. In fact, if you are just eating the main course and nothing else, two dishes between three people should probably fill you all to satisfaction. And if you are a couple, one main course between two will probably do, although a side of their fantastic wedge fries would do the steak justice. Finish off the meal with a fantastic Sorbeto de Limon con Champagne (lemon sorbet with champagne). At this stage of the over-eating proceedings, having a dessert that you can drink through a straw is a very sensible idea (this dessert is also pictured in the group of pictures at the top of the post). Final words of advice? Stay well away from this place if you are on a diet. If you’re hungry for more, check out delicious steak photos from La Cabrera that were posted/linked to by Asado Argentina (scroll down on that page for the links). When reviewing the restaurant scene in Buenos Aires, you will certainly happen upon a number of pizza restaurants, and the reason is simple: People here LOVE pizza. If you do too, then Buenos Aires is a great place to be. Pizzerias like Guerrin in the City Center , Banchero in La Boca and Piola in Recoleta, and each has all it’s different styles and attractions. However, Morelia Pizzeria of Palermo creates it’s own style and ambiance that adds even more flavor to the already long list of notable Buenos Aires pizzerias. Morelia is apparently a lounge in addition to being a pizza restaurant. This is the kind of thing you come to expect in the ice cool area of Palermo Hollywood, and the lounge part is explained by the addition of a few sofas with coffee tables near the entrance and the slightly lounge bar vibe you get from an occasional in-house DJ. No actual lounge music played though, for the record. Ignore the music, ignore the lounge (whatever that is), most certainly ignore the Palermo Hollywood pretensions, and just head to the back, grab a comfy booth seat if you can, and eat some pizza. That’s why you’re here. The pizza may seem overwhelming in the previous picture, and in diameter it certainly is, but the thinness of the crust means appearances are a little deceptive. This is actually a Pizza Chica, which is slightly confusing because it is their middle size on the menu (flanked by individual and grande) and meant for 2 people. The toppings? Pictured above is a Calabresa, which in addition to the usual suspects of mozzarella, tomato sauce and green olives, features slices of calabresa sausage (a bit like chorizo, only with a faint hint of spiciness) and some strips of red and green peppers. And it goes down like a charm. The pastas are also of top quality, and the melt-in-your-mouth gnocchis are pictured below. 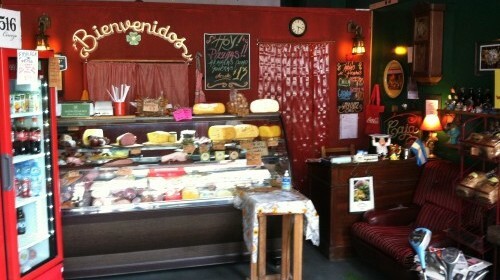 Morelia has two locations in Buenos Aires, with both areas having pretensions of being extremely hip. The Las Cañitas restaurant is the original, and is also a fair amount larger than the Palermo Hollywood one, due to it’s two full floors. However, both the food and the service at the Palermo Hollywood location are generally better. Wherever you go, if you order pizza a la parrilla at least you know you will not have to wait long… it comes lightning fast because the thin crust takes no time at all to cook. And the surroundings in both restaurants have a pleasant, subtle design, providing for a very comfortable meal. Tucked away in the Bosques de Palermo (Palermo Parks), you will find the peaceful Japanese Gardens, an oasis of calm and serenity in the middle of the crazy, busy, noisy city of Buenos Aires. The gardens are also recommendable as a nice place for couples to go when in Buenos Aires, or to take a date on if you are lucky enough to charm an Argentine while in town. To be fair, you can just about hear the drone of cars on the main avenues in the background, which spoils your zen a little, but not completely. Also watch out for the occasional school trip of noisy children, or young family, partly because the abundant koi carp and ducks are happy to be fed by visitors, which kids usually seem to enjoy. The park itself is wonderfully kept and very pretty all year round, as the different plants, trees and bushes show their lovely colors at varying points in the calendar. Apart from the koi carp and ducks in the cutely landscaped ponds, there are other easy on the eye features such as sculpted shrubberies, ornate arched red bridges, pattering mini rock waterfalls and zen-like stone and sculpture formations (see right). Apparently the horticulture on show includes black pine trees, gingko, sakura, and of course, the ubiquitous bonsai trees, that will impress all budding gardeners and karate kids alike. In case you are wondering ‘why exactly are there Japanese gardens in Buenos Aires?‘, well, they were given as a ‘thank you’ to Argentina, by Japanese immigrants living in Buenos Aires, when they constructed this lovely five acre park in 1967. Attached to the gardens, in a pagoda style building, a Japanese tea room and restaurant combo is found (closed on Tuesdays). During the day this offers a range of oriental brews, green teas and cakes, and then during the evening it transforms into a restaurant with authentic Japanese food, specializing in sushi. (If sushi is what you crave, look on Saltshaker for reviews of the best sushi spots all over BA). Additionally, there are sometimes exhibitions and shows of Japanese culture held inside the same building – try calling ahead to find out if anything like this is happening, on 4804 9141. The Jardin Japones is open from 10am to 6pm daily, year round, and costs a small fee to get in. To get there you can take a number of buses, including the 10, 37, 67, 102 or 130. Failing that, try a taxi, or take a pleasant walk to get there – either through the rest of the Palermo Parks that run along Avenida Sarmiento, before turning onto Avenida Berro, or if you are starting from the Palermo Chico area (where the Malba art museum is located), you could walk along Avenida Figueroa Alcorta, turning onto Avenida Casares to reach the Japanese Gardens. Well worth a sightseeing visit, however you arrive there.